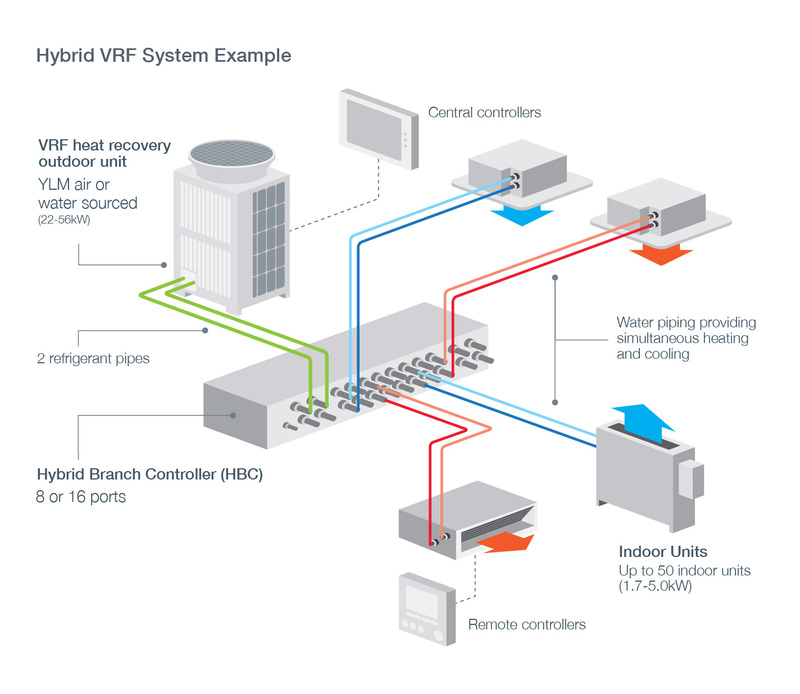 Most systems have refrigerant gas going into the air conditioning unit, and running all the way through the building, but the Hybrid Variable Refrigerant (HVRF) system in The Well is different. It has water running in the pipes throughout the building. The unit transfers heat and cooling energy from the refrigeration primary circuit to the secondary water circuit which in turn supply the indoor room conditioning units with hot or chilled water, in order to meet the demand from the conditioned space. 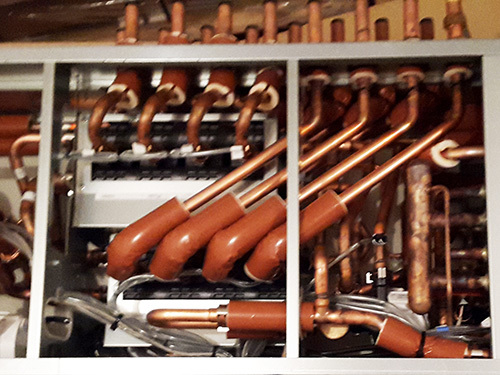 The key benefit of HVRF over conventional VRF AC systems is the lower refrigerant charge. 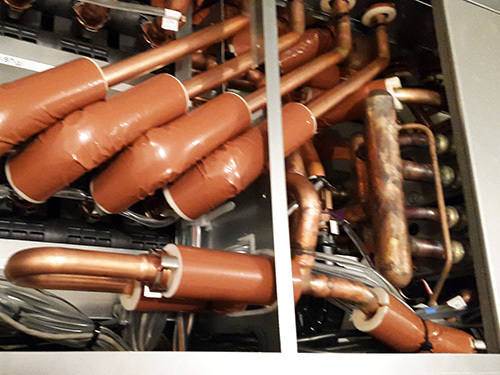 The HVRF system has approximately 25% of the refrigerant charge that a conventional VRF system has for the same system load. This type of system will form a big part of the initiative to reduce the gases used in systems as a part of climate change protocol. Phasedown has commenced across the EU to reduce the quantities of HFC’s on the market from 2015 quantities. Last year saw a 7% reduction of gases available within the EU and beginning this year the reduction goes down another 30% with the aim of reducing quantities available to 21% of 2015 levels by the year 2030. 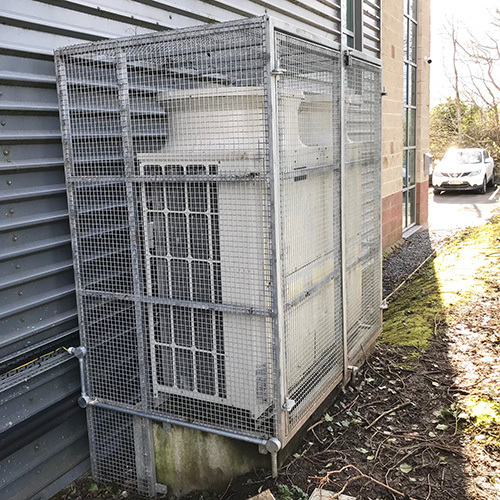 As a result of the reduced availability of refrigerant gas, prices have quadrupled in the past year, and this is only going one way. 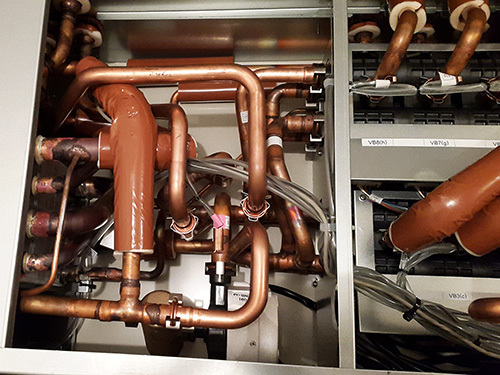 The hybrid refrigerant/water system offers significant relief in possible maintenance costs and environmental risk as a result of reduced refrigerant required in this type of system. 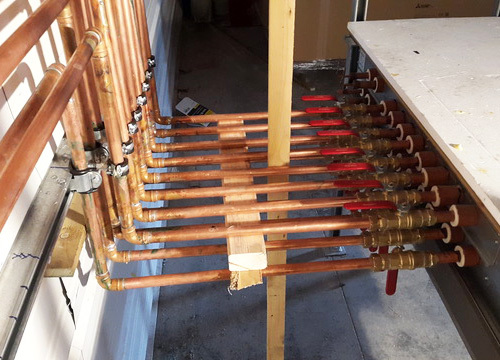 As the main heating and cooling medium in the system is water, the primary generation system can be changed in the future as more efficient and environmentally friendly systems come to the fore, without disruption to the occupants. 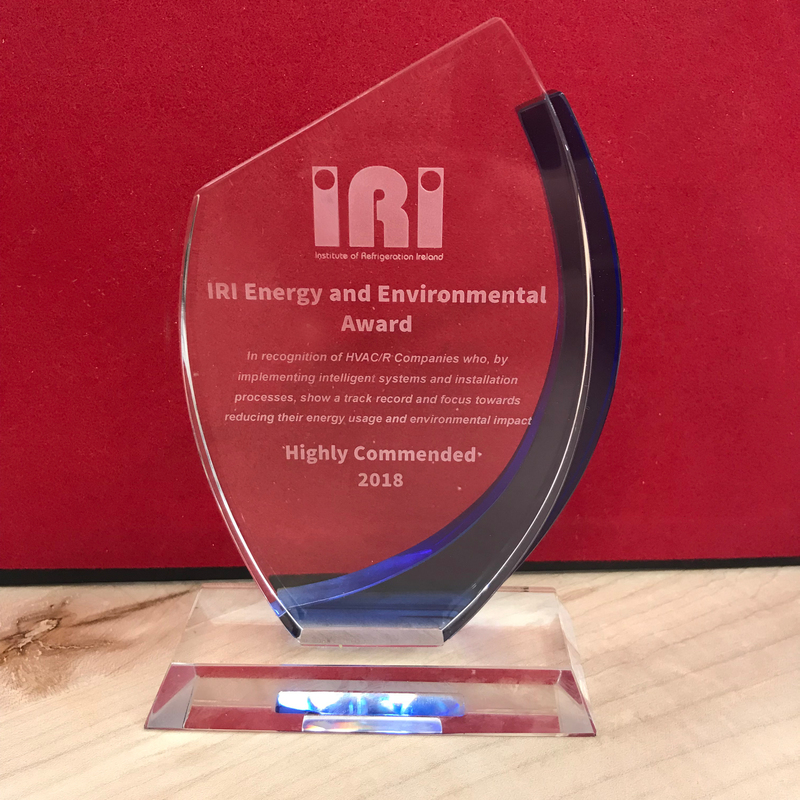 Sirus are proud to have received an ‘IRI Energy and Environmental Award’ from the Institue of Refrigeration Ireland.  Sirus was highly commended for the efficient and more environmentally-friendly HVRF air conditioning system installed at The Well building.